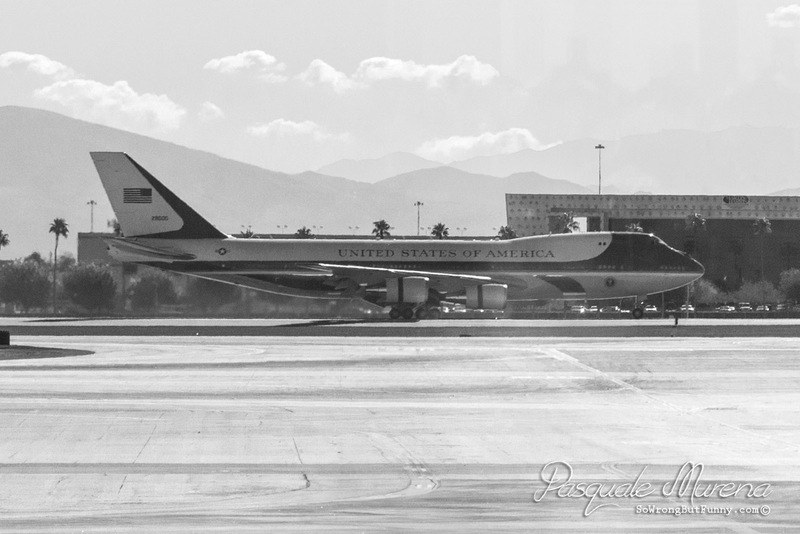 Yesterday, on a very bright Friday afternoon Air Force One, with the President of the United States, landed at the Las Vegas McCarran International Airport. My flight was delayed two hours for the president and I was lucky enough to see the plan drive by my window as I waited. I didn’t get to see it in flight but it was still pretty cool. 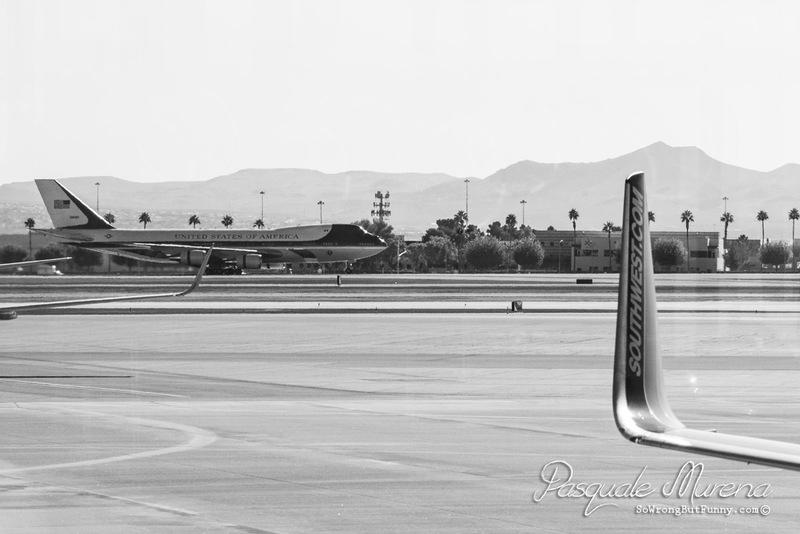 These are in no way the greatest photos of this amazing plane but I still wanted to share it with you. Photography by Pasquale Murena; Black & White.